Get Started Making LinkedIn Work for You Today! You will learn the skills, techniques, and strategies to land more of your ideal clients in less time! Find out how to maximize the worth of your connections, as well as building powerful new ones. "In the first five minutes, I saw LinkedIn in a totally new way. Now I know how powerful this tool can be for my business! Rivka and this class are both a gem." "Rivka has her finger on the pulse of internet marketing, and both her experience and insight are available to you at a very reasonable price. She is quite personable, and was available at all times to answer any questions." 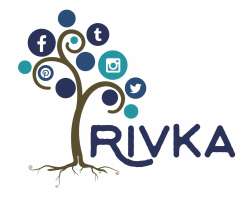 "Rivka is an enthusiastic and knowledgeable marketing trainer who never loses sight of the goals of her clients. Her humor and compassion are as evident as her very current mastery of marketing." Productivity hacks so that you can make progress and get leads quickly starting from day 1! Where and When is the Class? The class is all online, so you can do each section as you are able. Each week for the four weeks of the class, I will send you a set of 4-5 videos, about 15 minutes each. These will dive into each thing one at a time so that you can immediately apply to your LinkedIn Profile. You will get an introductory email right away with some things to get you started! During the duration of the class, you can email me any time and ask questions or get help or feedback. In fact, I will be sending you an email mid week to check in on you because I know we all need that extra nudge sometimes! Included with this class I have created templates, word for word emails and connect requests, follow up templates, and more so that you can get more results in less time!